Network issues can occur with any mobile user and Jio being the latest entry in the telecom industry, you might be confused about the Reliance Jio Customer Care Numbers. This blog is to help you find the Toll Free Jio Customer care numbers that you can dial anytime for your complaints and queries. The procedure is very easy for contacting the customer care personnel at Reliance Jio and you can even send an e-mail if that’s what appears more comfortable to you. Here are the Jio Helpline Numbers that you might need in case of complains or queries. If you are using a Jio Number, then you can dial 198 or 199. Both of these are Toll-Free Jio Customer Care Numbers. If you are using any other number except Jio, then you can dial 1800 899 9999. If you want to give your feedback through e-mail, then you can write to care@jio.com. 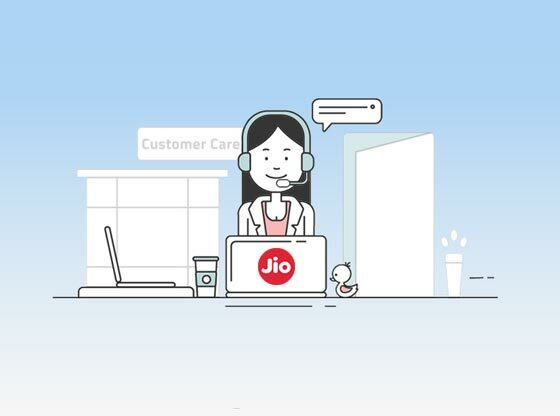 Reliance Jio telecom services have been up to the mark and in order to help their customers get instant solutions for their problems they have set up a reliable customer care network. To get in touch with the Jio customer care team, you can check out the list given below according to the zones and states. For feedback through mail, the Reliance Jio Customer Care Mail ID is appellate.jk@jio.com. For feedback through mail, the Reliance Jio Customer Service Mail ID is appellate.del@jio.com. For feedback through mail, the Reliance Jio Customer Care Mail ID is appellate.raj@jio.com. For feedback through mail, the Reliance Jio Customer Care Mail ID is appellate.upw@jio.com. For feedback through mail, the Reliance Jio Customer Care Mail ID is appellate.upe@jio.com. For feedback through mail, the Reliance Jio Customer Care Mail ID is appellate.har@jio.com. For feedback through mail, the Reliance Jio Customer Care Mail ID is appellate.pb@jio.com. For feedback through mail, the Reliance Jio Customer Care Mail ID is appellate.hp@jio.com. For feedback through mail, the Reliance Jio Customer Care Mail ID is appellate.wb@jio.com. For feedback through mail, the Reliance Jio Customer Care Mail ID is appellate.ori@jio.com. For feedback through mail, the Reliance Jio Customer Care Mail ID is appellate.bih@jio.com. For feedback through mail, the Reliance Jio Customer Care Mail ID is appellate.kol@jio.com. For feedback through mail, the Reliance Jio Customer Care Mail ID is appellate.assam@jio.com. For feedback through mail, the Reliance Jio Customer Care Mail ID is appellate.ne@jio.com. For feedback through mail, the Reliance Jio Customer Care Mail ID is appellate.mp@jio.com. For feedback through mail, the Reliance Jio Customer Care Mail ID is appellate.guj@jio.com. For feedback through mail, the Reliance Jio Customer Care Mail ID is appellate.mum@jio.com. For feedback through the mail, the Reliance Jio Customer Care Mail ID is appellate.ker@jio.com. For feedback through the mail, the Reliance Jio Customer Care Mail ID is appellate.tn@jio.com. For feedback through the mail, the Reliance Jio Customer Care Mail ID is appellate.ap@jio.com. For feedback through the mail, the Reliance Jio Customer Care Mail ID is appellate.kar@jio.com. These were the details about the customer care helpline numbers that can help you in contacting the Jio customer care executives instantly. For Jio online recharge offers, kindly check out the offers page at TalkCharge. These numbers are suitable for both Jio postpaid and prepaid users, so no matter what your issue is you can dial the given numbers for the complete solution.